During the spring session the Seimas will make a final decision on the original spelling of surnames, claims Viktoras Pranckietis, the Speaker of the Lithuanian Seimas. “I think that the Seimas should address this issue again and lay it on the line. As a private person, I stand for giving people the right to put letters ‘w’, ‘x’, and ‘q’ in their surnames. It does not matter whether this is the first, the second or the last page of a passport. When I hear that people are allowed to put their original surname on the monument only, I start to think that we limit their rights” – said Pranckietis in the radio broadcast “Žinių radijas” on Wednesday. 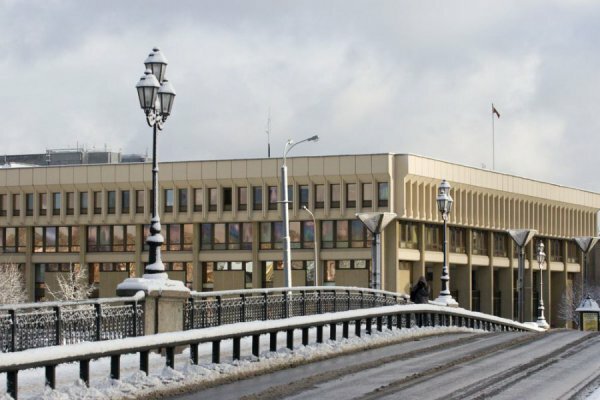 As previously mentioned, on Tuesday the Supreme Administrative Court of Lithuania made an ultimate and irrevocable decision that the surname Wardyn is to be put in both Lithuanian and original form – both in a passport and identity card of the Lithuanian citizen.